I couldn’t be more excited for my first guest post to be about season 19 of The Bachelor. 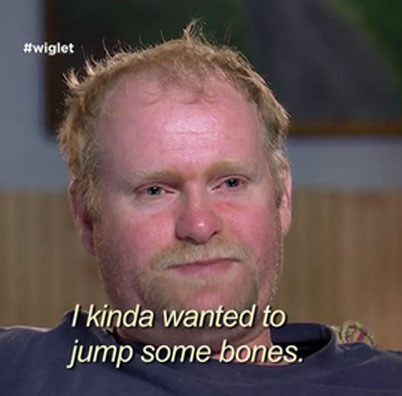 This season features Chris “no-lips” Soules, who has been dubbed Prince Farming. 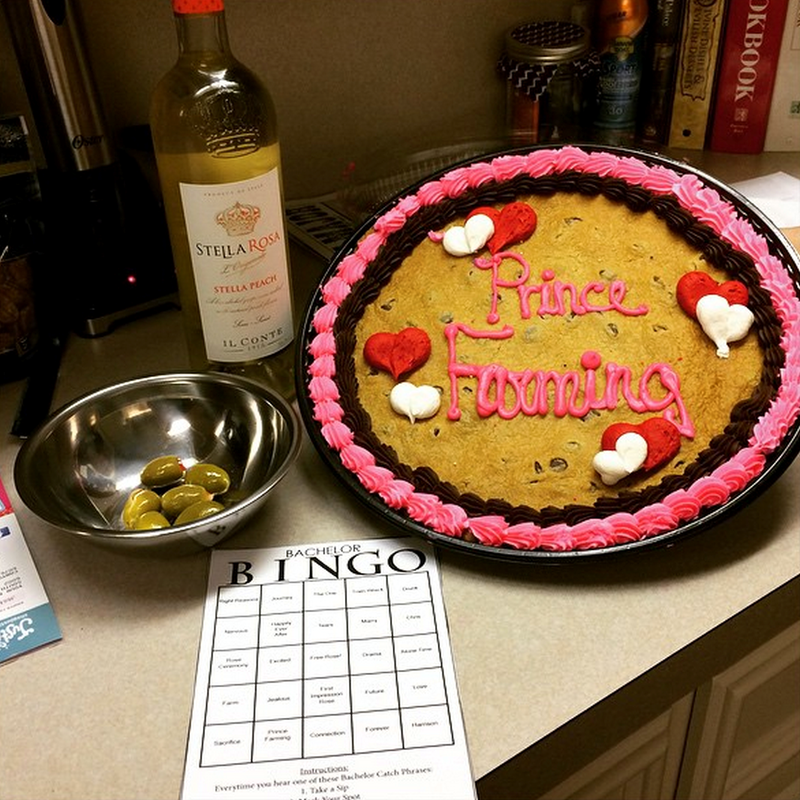 We went all out for the season premiere with champagne, wine, cookie cake and Bachelor Bingo. So if you were like me and my lovely friends who dedicated three long hours to the season premiere, you wasted the first hour of your life with an exciting red carpet event then followed by the longest night of arrivals in Bachelor history. Don’t get me wrong — there were parts of the red carpet I really enjoyed: getting to see Crazy Claire throw a baby up into the air, Erica Rose in a metallic jumpsuit, and trying to guess if Sean and Catherine are expecting a baby. My favorite part was trying to guess if these two are really dating. The funniest part of Chris’s intro was the segment where he was talking about working out with Bachelornation’s in house gym rat Cody Sattler. To be fair, it worked Chris looks great. One of the things that makes Prince Farming’s season so different than the men before him is the number of eligible women available on his first night. Normally contestants are given 25 women that come in two limos… this year there were 30 bachelorettes that arrived in four limos. It was obvious that the number of women overwhelmed Chris. Granted coming from a town of 416 people, it’s not hard to see why he wouldn’t be used to so many unrelated women. To be honest this is probably the prettiest group of girls the show has had in long time. This season has the usual Bachelornation types: nurses, teachers, beauty queens and single moms to some pretty unique things: WWE Diva-in-Training and cruise ship performer. I’m not going to go through each and every single one of the girls but will just pass out some awards for the most memorable girls of the night. First, I would like to recognize Tara. Tara, a sport fishing enthusiast, first made an impression by getting out of the limo dressed in her finest Daisy Dukes. She wanted Chris-no-lips-farmer to know the real her. Don’t worry though — she changed into a little black dress to party. From the second Tara got out of the car she was drinking Jack Daniels on ice at a steady pace. It is no secret that the first night typically lasts until 5:00 or 6:00 in the morning. Needless to say babygirl was drunk by the time the rose ceremony rolled around. She even almost fell off the stage. She annoyed Prince Farming so much that at one point he left the room to consult Chris Harrison if he should send her home. 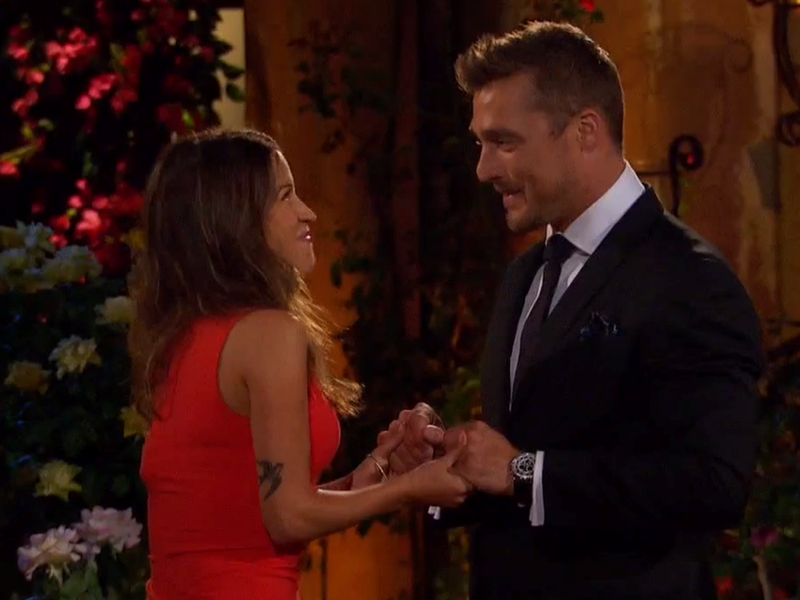 Now, one can only assume that the producers told him to keep her around because drunkface gets a rose. Next, it would be a shame if I didn’t recognize the night’s potty mouth jokester Kaitlyn. The dancer caught Chris’s attention by saying “I don’t know much about you… I know your name is Chris and you’re a farmer… you can plow the f*ck out of my field any day.” The two shared a laugh and Chris is totally into her. My favorite and final crazy of the night is onion girl herself, Ashley S.
Now, Ashley gets her award first… She was voted “Most likely to steal Mama’s Little Yella Pills” because she was totally on something the first night. 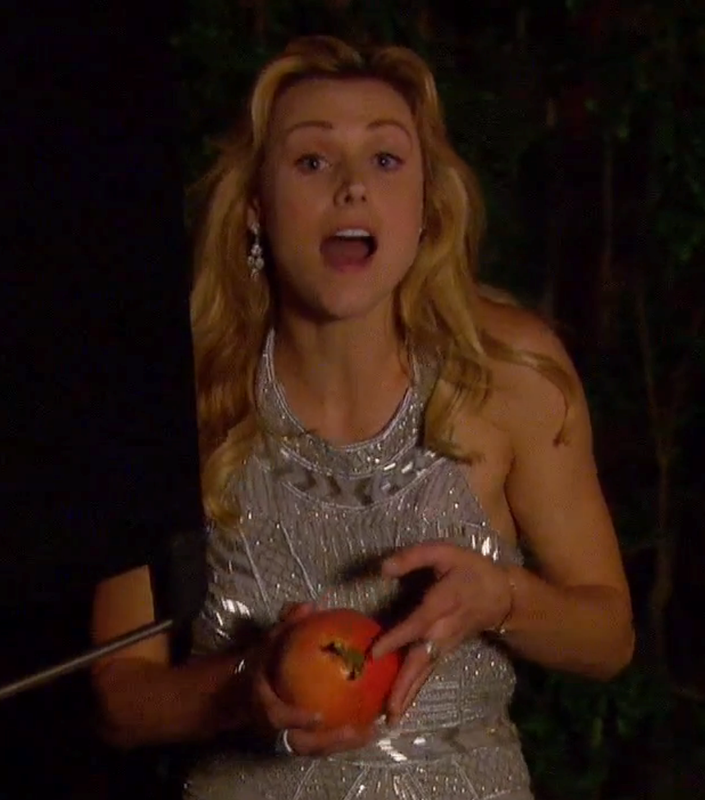 She became obsessed with a pomegranate that she swore was an onion. But I do have to give “Mama’s Little Yella Pills” some credit… because she cleverly stole Chris away from WWA Diva Brittany. 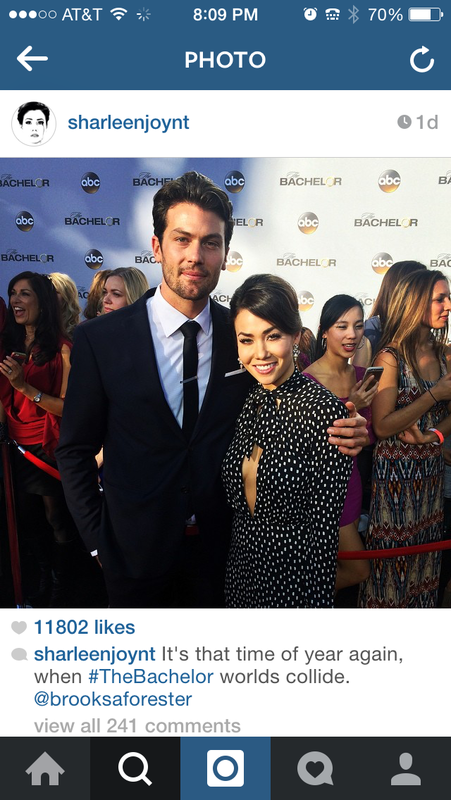 She offered her a yellow “rose” in exchange for some one-on-one time with the Bachelor. That wraps up all of the craziness for today, but I can’t wait to see where this journey takes us. We do know that the cast stays stateside only to leave the U.S. for the fantasy suite dates, and that Chris is engaged to someone at this moment. Thanks for reading! 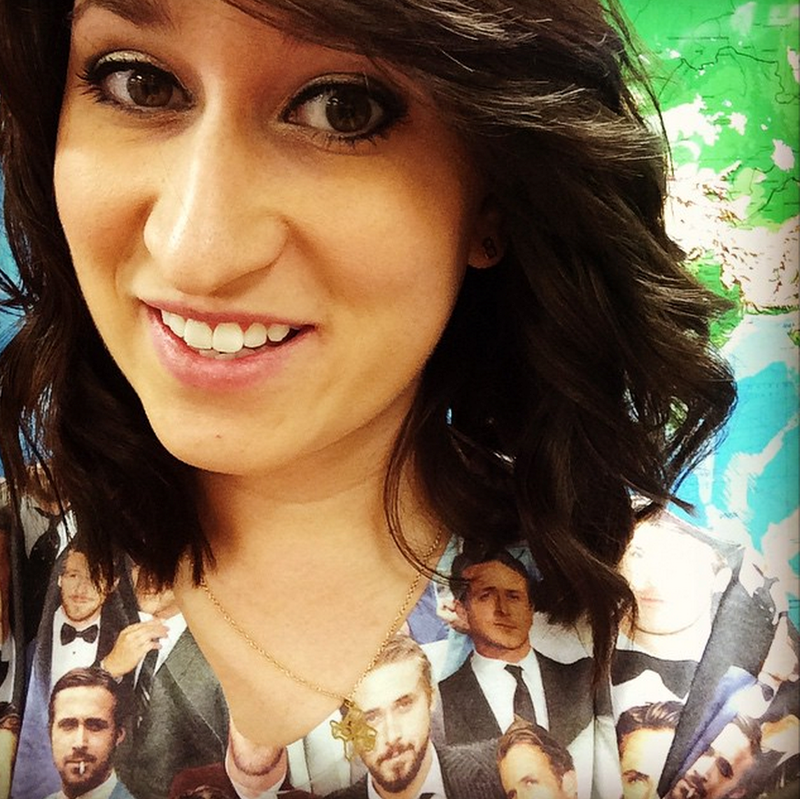 Bekka is a twenty-something teacher, avid reality T.V. watcher, and pop culture enthusiast.